The Carlingford to Omeath Greenway is one of the area’s most recent additions and is open for walkers, runners & cyclists. The Greenway caters for prams and children, and is also bike and pet friendly (pets must be kept on a leash and cleaned up after). 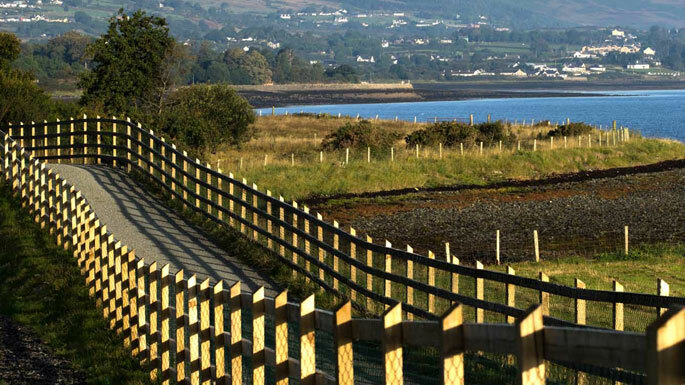 The Greenway meanders along the shoreline and offers stunning views of Slieve Foye, Carlingford Lough, Mourne Mountains and the Cooley Peninsula. It uses the old railway line between Carlingford and Omeath so doesn’t have any major gradients and is suitable for all abilities. The total distance is just over 6km offering spectacular views of the Cooley Peninsula and Carlingford Lough.